There’s still much controversy surrounding Halloween in Poland. That’s due to tradition and a nearby holiday which is still more important to Poles – All Saints’ Day. In recent years, Halloween has gained some popularity in this country, but it is still not enough to create jobs connected with it. In the United States, on the other hand, Halloween is one of the most famous holidays and a part of the American culture. It drives the industry and contributes to the creation of new and often unconventional jobs. For example, Abilene Goodwill Industries from Texas invented a special Halloween Specialist position. The responsibilities include looking after and taking care of Halloween-related products. To get this job, you have to genuinely love this holiday, know various contests and games associated with it and be up to date with Halloween gadgets. Candy makers and sellers, costume designers and make-up artists are definitely busy during the Halloween period. But if you are looking for something unusual and you like the feeling of adrenaline rush you can become a guide in haunted places or cemeteries. Charisma and the ability to tell stories will be useful here. If you like to be the life and soul of the party you should look for jobs in organizng various Halloween events. At the end of October, city streets get filled with zombies, ghosts, werewolves and other scary creatures. Shops, restaurants, and even serious institutions all want to get in the Halloween spirit, so they employ amateur actors or non-industry people to play those characters and scare customers. Willingness to dress up and scare innocent victims is definitely required. If you decide that this is a job for you, you can focus your entire career on scaring people and become an actor in one of the haunted houses that are extremely popular in the United States. Creative people who like arts can try their hand at pumpkin carving, which is probably Halloween’s most essential item. 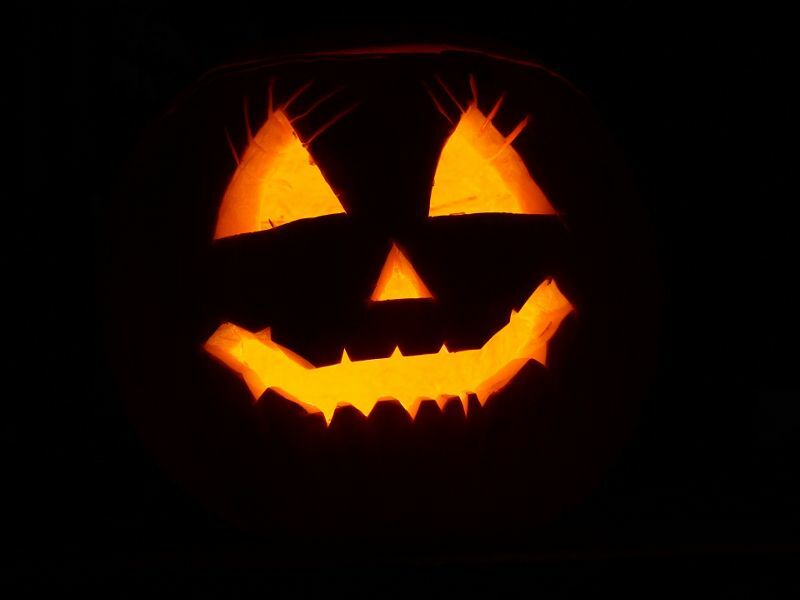 After hearing the word “Halloween” many people immediately think of a smiling pumpkin lantern with a candle inside. If you don’t have time to do it yourself or you lack in artistic skills, you can hire a professional. In their portfolio Maniac Pumpkin Carvers from Brooklyn have some impressive works of art, including characters from popular movies, abstract patterns and paintings by famous artists. Will Halloween in Poland also drive the labor market in the future? We don’t know for now. However, it’s probably safe to say that it will never have the same significance as it has the United States.